As a Design-Build company, we offer a unique, integrated project experience from start to finish. Each project begins with an on-site meeting to discuss your landscape needs and desires. We design a landscape concept plan and develop a construction budget to your needs. We plan each project to meet your program goals while responding to specific site conditions. Our team of craftsmen builds the landscape plan to meet and exceed your expectations. 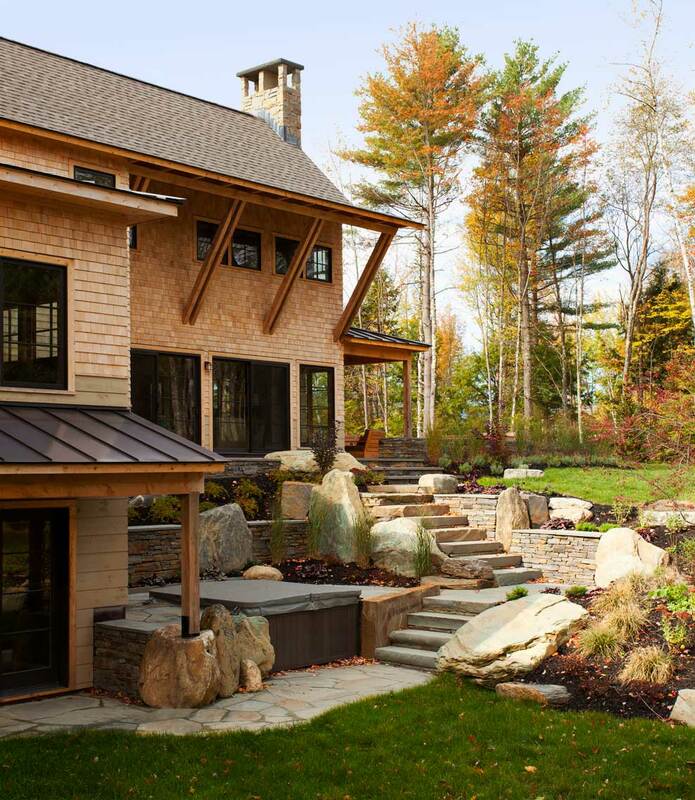 By responding efficiently to project goals, schedule, and budget, Ambler Design takes pride in creating exceptional, sustainable Vermont landscapes. • Consultation- Meet with the client and supporting project team to identify project goals, design opportunities, site characteristics, and budget. • Design- Work through the site analysis, concept plans, detail sketches, and preliminary pricing to develop working ideas. • Design Presentation- Present design plans, material selections, and special detailing. We review these with you to determine that the design and budget are on track. • Construction- Begin construction upon acceptance of the final design plan and construction budget. As a project comes to life our team is able to respond to on-site conditions efficiently and effectively to keep a project on track, on budget, and on time. • The in-house design/build process ensures clear communication between client, designer, and craftsman. It creates clear accountability to make sure a project is built soundly, beautifully, and on schedule. • Ambler Design constructs the highest quality landscapes. Our stonework, planting, waterscapes, and site grading are meant to last for generations. Our craftsmen care about each project and each client, producing their finest work for you. • Our installation costs are competitive with others in the industry. The real value is added by having the design team integrated with the daily process of project implementation and construction.